Adham's friend Ian has made a digital story of their journey together on the Tyne and Wear metro system which you can watch on YouTube. This gives a good insight into the secret methods Adham uses when attempting a record. Ian tells us about a time that an eccentric friend of his visited Newcastle and took the opportunity to live out a dream. His story was inspired by the collections on display at the Stephenson Railway Museum. Ian's story will be part of a new QR code trail of Culture Shock digital stories at Discovery Museum. 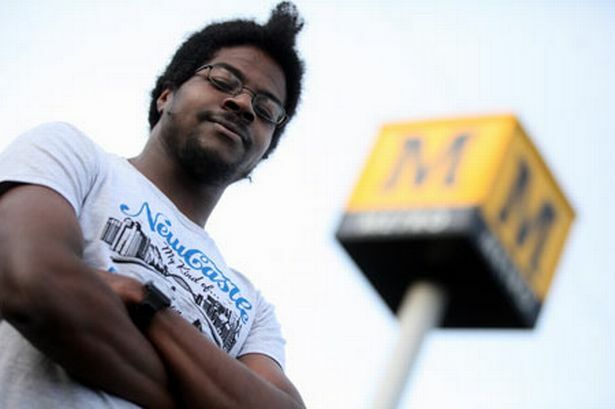 TRAIN fanatic Adham Fisher set a new record for travelling round each station on the Tyne and Wear Metro system in under three hours yesterday. The transport enthusiast station-hopped around all 60 stops on the Metro in just two hours 56 minutes and 32 seconds. This stunt was the latest in a string of challenges Adham has set himself on train systems across the globe, all of which stemmed from an idea he had some eight years ago. Read the whole article at the Chronical Live website.